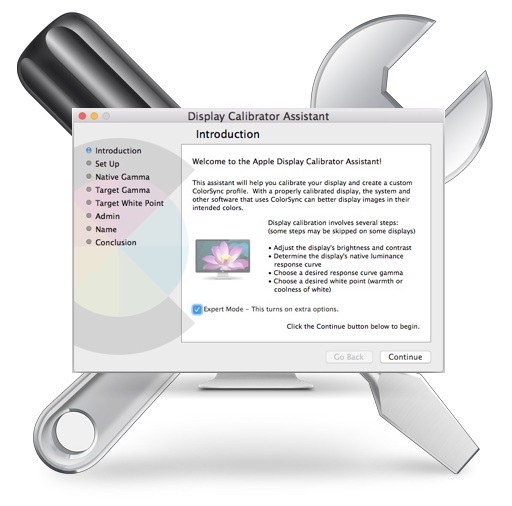 Mac users are likely familiar with the process of using display calibration to get the best color and picture quality for a specific monitor or screen used with a computer, and to get the most out of the calibrator tool you’ll want to run the utility in Expert Mode. 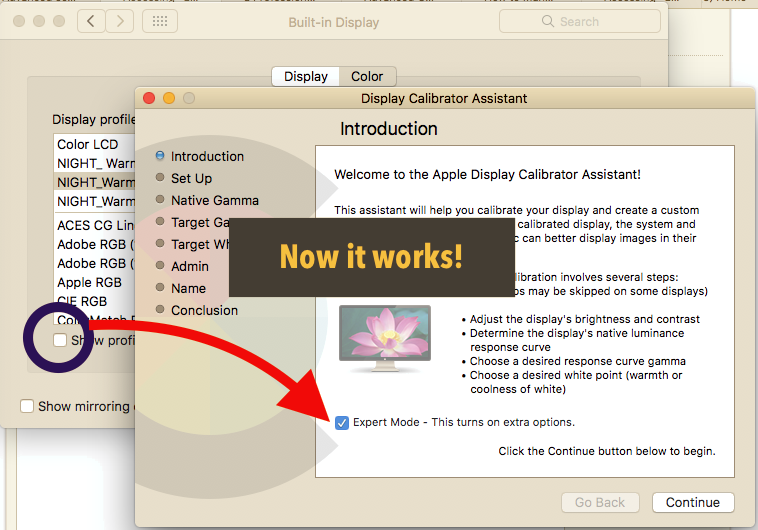 While Expert Mode used to be immediately visible in the Display Calibrator Assistant, it’s now hidden by default in the newest versions of macOS and OS X. This has led some Mac users to think the Expert Mode advanced color calibration options are missing in Mac OS X now, but in fact it just requires an additional step to access. 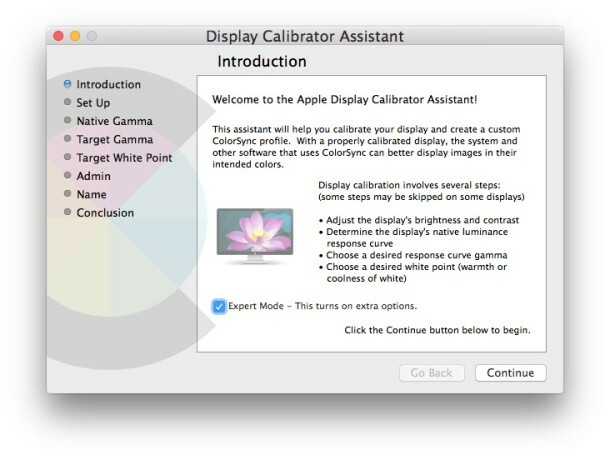 From OS X El Capitan (10.11) onward, including macOS Sierra 10.12, High Sierra, and MacOS Mojave (10.14.x), to access the Expert Mode of Display Calibrator, including support for adjusting Native Gamma and Target Gamma, you’ll need to use a simple trick to reveal the additional options. You must hold the OPTION key when clicking Calibrate to access the Expert Mode advanced color calibration tools, without holding down Option the expert option will not appear. If you haven’t done so yet, adjusting screen calibration can be a helpful way to improve the appearance of any display a Mac connects to. I always calibrate my displays, even the built-in display panel on a MacBook Pro, since I find the default gamma to often be too bright, whereas some users may find it not bright enough. It can also offer a great way to correct a display that is either too cool or warm looking. Oh my god. This was driving me crazy as the profile definitely changed after upgrading to El Cap. Thanks so much. Anyone really interested in colour profiles wont be using this bit of software to guess what it should look like., but using a hardware colour calibration device. Hardware calibration won’t work as well as using this in a closed system setup. After struggling with ColorMunki for months I have abandoned it and just used the technique here to match to the print. This was so helpful. I couldn’t figure out how to find the expert mode, but holding down the option key while clicking calibrate worked. Why couldn’t they just put that in the options to begin with? That was so helpful, yet it’s hidden unless you get a tip from someone. Thanks for the tip. I too had that problem. 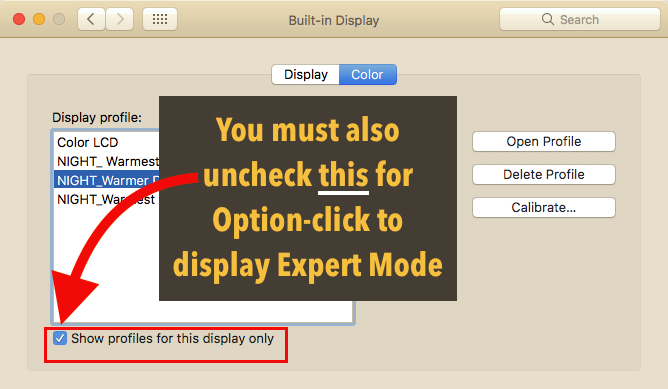 However, after clicking Detect Displays it was possible to get into expert mode as described above. While what mark says is true, for the sake of better color for those of us without a hardware color calibrator, it was unnerving to see washed out color on my older MBP monitor. I figured out on my own the option key, but, at first was not happy I couldn’t calibrate. I’m guessing that this is hidden because calibration is automatic on Apple’s newer Macs with built in monitors? My mid 2010 MBP certainly needs calibration, otherwise the white has a blue hue to it, colors are off, but, perhaps iMac/Mac laptop retina screens don’t need calibration? Unfortunally in my case, after update my Macbook Pro (MID 2010), when do this passeges, not appear the the Expert Mode like explain you here in the top!!! Thanks so much for posting this, I had called apple tech support, they connected to my screen remotely , told me to go into Accessibility and told me that basically all I could change under El capital was the monitors contrast and that apple had that feature shut off because too many people were frying their video cards or something . So I googled some more and came upon this 😍. PROBLEM SOLVED , Thank you ! Try again, it certainly works. 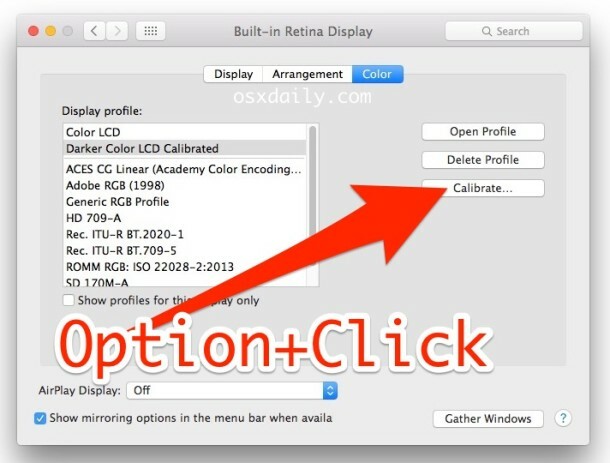 In fact, there is no other method of accessing the expert mode color calibration in OS X without doing this! The confusing part is that the “Calibrate…” button doesn’t change when the Option key is held down. This is very different from the normal conventions of using the Option key to access hidden features. This one is totally hidden. I don’t know why they did that because it is absolutely necessary to keep my display from being washed out. Has anyone discovered a new way? Yes Calibrate Expert Mode works in all versions of OS X El Capitan, doesn’t matter which, this is how you enter the Expert mode for calibrate. 10.11.2 etc, you are not following the instructions. I just did it myself 2 minutes ago. So, that means you specifically are doing something wrong. My second monitor, on which I do all my photographic editing, is a Benq G2420HDBL LED. If I follow the first instruction in the Display Calibrator Assistant, to set the contrast control to ‘the highest setting’, I get a screen which is so very contrasty that the rest of the set-up procedure becomes impossible. So, rather embarassingly, I set the contrast by eye, which rather takes away the whole purpose of calibration. This happens, I beleive, because of the higher contrast ratios that LED screens are capable of, compared to CRTs. So isn’t it time that the Display Calibrator Assistant took the capabilities of LED screens into account? After many reading reviews, I got iMac 5K Retina 2014 edition, the color combination is really boring no matter what I do. I find Android / Windows based monitors even at low pixels are far better than this crap iMac. What a total waste of money and time. The advanced but user-friendly color calibration assistant was one of the few things where Mac OS X was still better than competing systems. Ditto for full-line coloured Finder labels. It’s really sad to see things being removed or hidden away that people loved about this system. This has been going on for too long. It’s sad, but my next computer won’t be an Apple anymore. Thank you for this article though. Thank you so much for this hint. I almost gave up, thinking there had been a bug in the installation. thanks for the tip-i wish there were preset color calibrations to try out.. you can go a little crazy with this tool. my colors are totally washed out with the upgraded video card and an $800 EIZO monitor. i think i need a real color calibrator tool. any recommendations for Mac Pro/Eizo monitor-i am a professional photographer and going nuts with these new Macs. for $4k i expect better! thanks for the tip- you can go a little crazy with this tool. Works for me. But why hiding it? El Capital start to look like Windows OS that you have to guess or know what to click to get somewhere. Thank you so much for the advice !!! It worked! Thank you so much! It makes a big difference to me. Oh osXdaily, I don’t know how many times you’ve improved my life! Thanks so much! Thanks. But why all the charades Apple? Thank goodness for this information. I used the instructions above and got terrific results. Saved me having to buy a color calibration tool. Now with my profiles for my specialty papers, my prints come out looking just like my monitor. Thank you. was great until the last step. “An error occurred. Teh new calibrated display profile could not be created or set to be the current profile for this display.” thanks sierra. Thanks for this tip. Picked up a mid 2010 MBP on the cheap and the screen just about looked washed out. The expert mode muted the colors and warmed them up a bit from the default. Thanks for this, was struggling for a while. Alot of games are too dark on Mac and the games sliders do nothing. Meant to say, great article, thank you!!!! WTF? Found your article while searching for calibration software when I couldn’t find the so-called expert options. Saved me lots of $$$. Thanks. Thanks! This helped me to get my prints more accurate and no longer looking washed out. It’s amazing how off the default Apple calibration is – way too bright.